When it comes to mathematics, it can be a jungle out there. But with our new curriculum-driven app, TouchMath Jungle Addition 1, students will traverse through seven lush and wild levels, earning rewards and gaining math fluency along the way. Whether they’re navigating rapid rivers, maneuvering through cavernous mazes, crossing rickety bridges, or scaling towering cliffs, one thing is certain –– learning addition skills has never been this extraordinary. 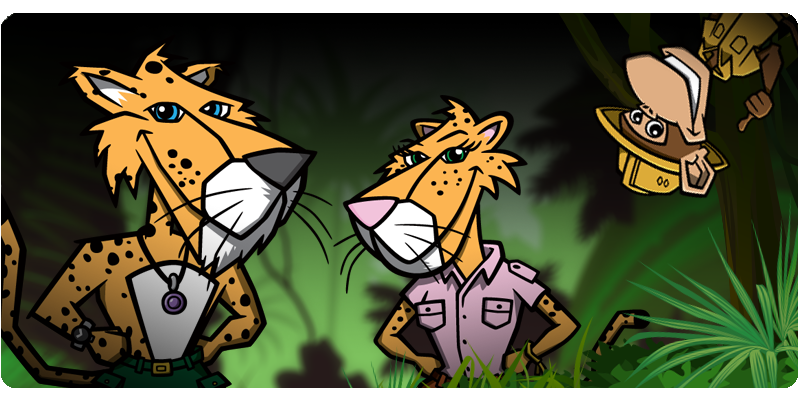 Students take the role of fearless adventurers Panar and Freckles alongside their trusted monkey jungle guide Newton. With each level complete and new addition skills attained, students collect reward achievements that all fit together into one epic jungle adventure conclusion! So if you thought math was boring, think again. With TouchMath Jungle Addition 1, students will master their addition skills and become king (or queen) of the jungle in no time! Appropriate for K-2nd grade, as well as RtI, remediation, and special education. Copyright © 2015 Innovative Learning Solutions, Inc. All Rights Reserved.